Weatherstrip Cement – Permanent, waterproof cement that remains elastic after drying. Adheres to rubber, plastic and metal. Glues in loose 0-rings during assembly. Excellent for vinyl and leather repairs. Handgrip Cement – Required when installing PVC-type handgrips. 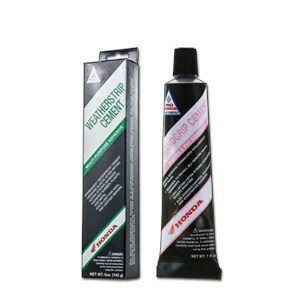 Ideal for use on rubber handgrips and footpeg covers, plus kickstart and shift-pedal rubbers.